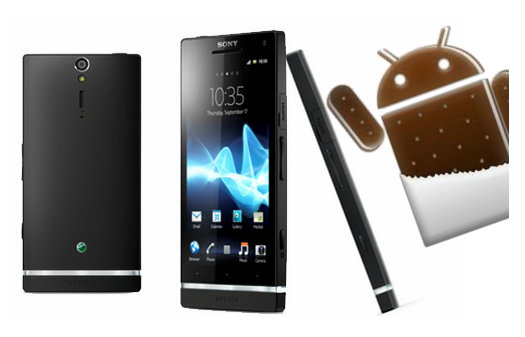 The Sony Xperia S is one of the best android smartphone of Sony. The users of the smartphone can now update their device from current Operating System, Android Gingerbread 2.3 to the latest Android Ice Cream Sandwich. The latest version includes the new features like Data Management app, People App (enhanced contacts application), Chrome Beta for Android, Multitasking interface, new lock screen with instant access to the camera application, instant access to music app etc. Please make a note that this guide will help only for WINDOWS PC USERS and not for Mac users. And also this update doesn’t matter if your phone is rooted or not, bootloader unlocked or not, SIM unlock, bootloader lock/unlock, root etc. Please take a backup of all your valuable datas which was present in your phone before start to apply this update. Just in case, if it lost due to any reason you could easily recover them with the help of backup. Disable all the antivirus tools in your Sony Xperia S device; because this may interrupt in the firmware update. So, once you have done all the above mentioned instructions then head over to the next step where we have summed up a detailed guide on how to apply this update. Initially you need to download the flashtool from here. Go to the “Installation tab”, download flashtool installer v0.9.8.0 and run it. You will have a new folder on your PC: c:\Flashtool. Secondly, you have to download ICS Update firmware from here. You should picked up any one download from there and come back and follow the below instructions. The firmware is already prepared to be flashed via flashtool in .FTF format. If the file you downloaded is .RAR then it is compressed (zipped) and you need to extract the .FTF with WinRar. If you don’t have WinRAR then download the same from here. After that copy the firmware FTF file to c:\Flashtool\Firmwares. Go to c:\Flashtool\Drivers and run “Flashtool-drivers.exe” to install the proper drivers for Sony Xperia S.
After installing the USB drivers reboot your PC. Then go to c:\Flashtool and run “FlashTool” (if you have Windows 64 run “FlashTool64”). After that click the flash button (yes: the thunder icon up left). Then Select the “Flashmode” and click “OK”. Then again select the “LT26 6.1.A.0.452” firmware and click “OK”, please don’t touch anything else other than this. So, once you selected, the flashtool will prepare the files for flashing, don’t disturb until the process has been complete. After that a message will pop up and asking you to connect the phone in “Flashmode” showing instructions for an old Xperia phone just ignore it. Now, you need to Turn OFF your phone. Press and hold the VOLUME DOWN key. Keep it pressed and connect the USB cable to your PC. Release the Volume Down key when phone’s GREEN LED lights. Flashtool will start flashing automatically, let it finish to 100%. Once the flashing process reached 100% then disconnect the USB cable and TURN ON your phone. For that you need to press and hold the Power button for some seconds. Please make a note that the first boot will take a longer time than the expected time. That’s it now you have successfully Update your Sony Xperia S smartphone with Android 4.0 Ice Cream Sandwich firmware. Enjoy!